Prof. Xie Haihui serves #TeamReal as Research Advisor with an extensive research background and interest in the chemistry of natural products. Prof. Xie has long been fascinated by the ability of plants and their natural extracts to benefit human health and is the first author or corresponding author of 19 science citation index papers, holds 3 patents and is currently a professor at South China Institute of Botany as well as a supervisor of postgraduates for master degrees and doctorate degrees and is a member of the Chinese Chemical Society and Japanese Pharmaceutical Society. His professional experience includes Research Assistant, Assistant Professor and Associate professor at the South China Institute of Botany, and visiting scholar and research assistant to Kyoto Pharmaceutical University. 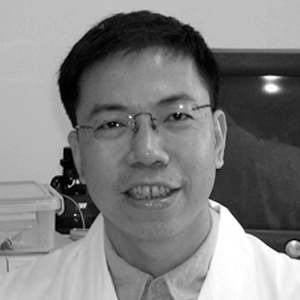 As an advisor to the Company, Prof. Xie will utilize his experience to help develop medicinally beneficial products from natural plant extracts. Prof. Xie’s educational background includes a Bachelor of Science from Jiangxi University, Nanchang, China, Masters of Science from South China Institute of Botany and a Ph. D from Kyoto Pharmaceutical University in Kyoto Japan. Prof. Xie has received the Award of Science and Technology Progress of Xinjiang Uygur Autonomous Region in 2007 and 2008 and is an editorial member of “Ecology and Environmental Sciences” since 2009. For a list of publications click here. (4) Zhou WT, Xie HH*, Xu XY, Liang YG, Wei XY. Phenolic constituents from Isodon lophanthoides var. graciliflorus and their antioxidant and antibacterial activities. Journal of Functional Foods, 2014, 6(1), 492-498. (6) Xu QL, Xie HH*, Xiao HL, Wei XY. Phenolic constituents from the roots of Mikania micrantha and their allelopathic effects. Journal of Agricultural and Food Chemistry, 2013, 61, 7309-7314. (8) Xu QL, Xie HH*, Xiao HL, Lin LD, Wei XY. Two new ent-kaurene diterpene glucosides from the roots of Mikania micrantha. Phytochemistry Letters, 2013, 6(3), 425-428. (10) Zhou WT, Xie HH*, Wu P, Wei XY. Abietane diterpenoids from Isodon lophanthoides var. graciliflorus and their cytotoxicity. Food Chemistry, 2013, 136, 1110-1116. (12) Xie HH*, Yoshikawa M. Grasshopper ketone 3-O-primveroside from Sinocrassula indica. Journal of Asian Natural Products Research, 2012, 14(5), 503-507. (14) Xu XY, Xie HH*, Hao J, Jiang YM, Wei XY. Flavonoid glycosides from the seeds of Litchi chinensis. Journal of Agricultural and Food Chemistry, 2011, 59(4), 1205–1209. (17) Xu XY, Xie HH*, Wang YF, Wei XY. A-type proanthocyanidins from lychee seeds and their antioxidant and antiviral activities. Journal of Agricultural and Food Chemistry, 2010, 58(22), 11667-11672. (18) Xu XY, Xie HH*, Hao J, Jiang YM, Wei XY. Eudesmane sesquiterpene glucosides from lychee seed and their cytotoxic activity. Food Chemistry, 2010, 123(4), 1123-1126. 2005 Wei X, Xie HH, Xu Z, Yang R. A new annonaceous acetogenin and its preparative method and application. China Invention Patent, Authorization No: 02115003.6. 2004 Wei X, Xie HH, Wu S, Zheng X, Liu M, Yang R. The anticancer effective fraction of annonaceous acetogenins and its preparative method. China Invention Patent, Authorization No: 01107594.5. 2003 Wei X, Xie HH, Zhou W, Zhang F, Liu M. Preparative technique of Proanthocyanidins. China Invention Patent, Authorization No: 99116183.1.